Maui No Ka Oi (Maui is the Best)! Condé Nast Traveler just released their ranking for Hawaii’s best hotels. Voted on and selected by Condé Nast Traveler readers themselves, they go all out for their vacations and definitely know how to make the most of their time in Hawaii. Some of Hawaii’s best resorts offer guests their own private lanais, prestigious access to luxury golf courses, mystical waterfalls, private island tours and so much more! I’m biased, but I think we know which island offers the perfect blend of modern luxury and untouched Hawaii beauty. 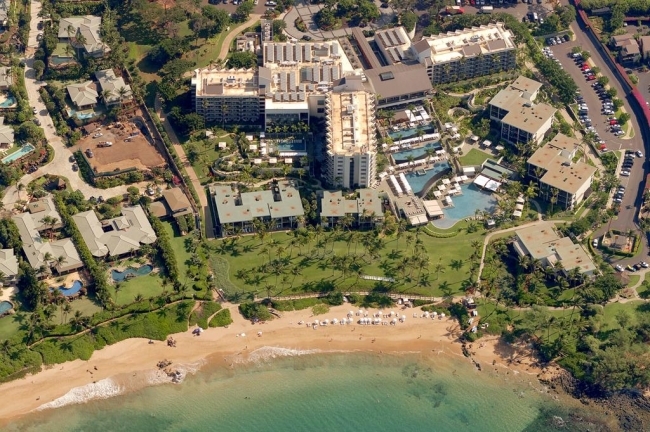 Of the top 25, Maui resorts represent 44% or 11 spots on the list! With stunning beaches like this, it is no wonder Maui is the best! Via Condé Nast Traveler magazineʻs 31st annual Readers’ Choice Awards, the Hotel Wailea has received the #1 ranking as Hawaii’s best hotel. This is the 2nd consecutive year that the hotel has won the prestigious award. 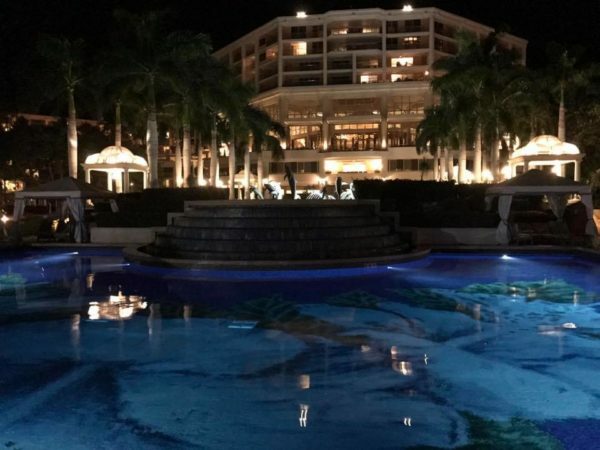 The 72 room adult only Hotel Wailea is owned and operated by Jonathan McManus, an Oahu boy who took the reigns and led a top to bottom remodel in 2015. If you have ever been, it’s the hotel’s location on the hillside that makes it unique and offers a nice contrast to the beachfront hotels. The hotel is definitely geared towards the adult demographic as it is strictly an adult only hotel. Designed into square shape “U”, the Four Seasons Resort Maui at Wailea was intentionally designed to attempt to give each room a stunning ocean view while overlooking the courtyard and pool area in the middle. Like any 4 Seasons Resort, it is the service that pushes it over the top. From getting colorful leis at check in or a complimentary refreshments in the lobby, this Wailea Resort ranks high among guests for location, comfortable rooms, and upscale modern conveniences. Resting on the sandy shores of Kaanapali Beach in a prized location, Honua Kai is a one of a kind master-planned development. The resort condominium blends fee simple property ownership with top of the line hotel amenities. It’s the on site staff’s attention to care and unmatched lifestyle that makes Honua Kai stand out among the Kaanapli hotels. World class amenities include: multiple pools (including a lazy river pool), multiple jacuzzis, outdoor state-of-the-art barbecues, a fitness center, Maui concierge services, a deli, a Duke’s Restaurant, and direct beachfront access. As the newest beachfront resort to Wailea, the Andaz was built as a massive remodel of a previously existing hotel. Rebranded and complete with the most modern details of luxury, the Andaz is regarded as a unique blend of a hotel and condo ownership. The rooms that make up the main tower are hotel rooms, while the low rise villas on the edge are coveted pieces of Wailea real estate worth high 7 figures to low 8 figures. The Andaz is not an adult only hotel, but it certainly caters to them wheres its ambiance is a sanctuary for complete R&R. More than 50% of the rooms offer ocean views with their own private lanais, and is your piece of privacy. The Fairmont Kea Lani is unique in the sense that each room is a suite with 22 private two story villas that span the 22 oceanfront acres it sits upon. Each room at a minimum is about 860 sqft and includes: sleeper sofas, microwaves, and balconies. The rooms are designed with a clean and uncluttered look which means light colors and showers without doors. If having a living room in your hotel room is high on your list, then you can’t go wrong with the Fairmont Kea Lani. 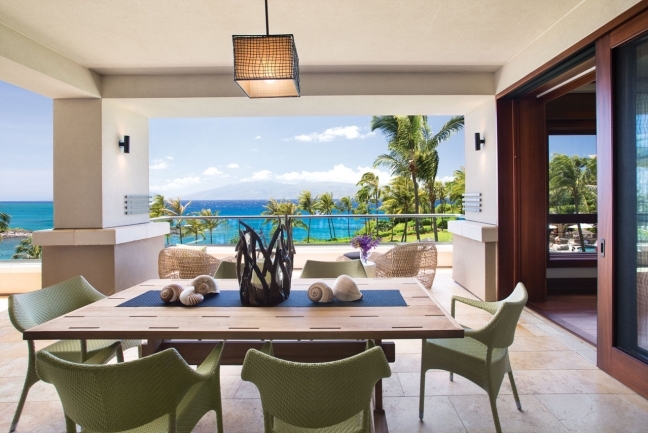 Sitting directly across from the Grand Wailea and with access to all of the resort’s amenities (hence the name), Ho’olei at Grand Wailea is a collection of private, two-floor villas that offer resort like amenities and fee simple condo ownership. The Ho’olei community is special to the team because we have been onsite for 10+ years and have been able to see the community evolve over time. 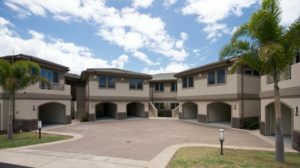 Our onsite Ho’olei real estate information office allows us to be at Ho’olei 7 days a week and gives us a distinct edge in understand this unique market. Built as an idyllic fantasy mega-resort, the Grand Wailea held a reputation as one of the most expensive hotels to ever be constructed. Spanning 42 sprawling acres of the most prestigious and coveted Wailea real estate, it is only fitting the hotel itself and its design fit matched the location’s beauty. Built for $600 million and completed with a certain level of luxury, bronze sculptures, open air designs, tropical flora, outrageous pools, and touches of elegance. Just a few years ago, the resort underwent a $30 million renovation to incorporate modern designs and eco friendly features. 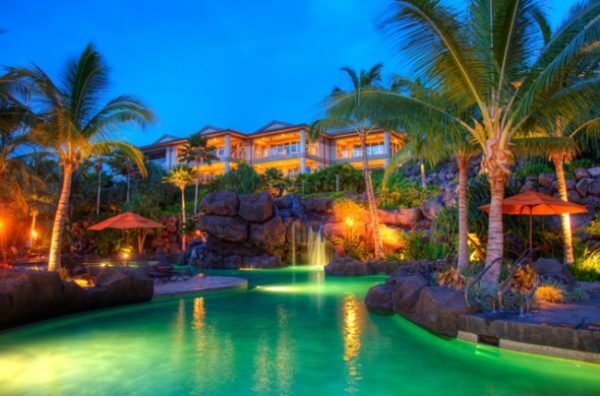 Some of the amenities include: 262 foot “lava” slide, Wailea Canyon: the pool area featuring 9 pools, 6 levels, all connected via slides, and Tarzan pool with a rope swing to name a few. Long considered one of the most gorgeous resorts in the island chain, Travaasa Hana (formerly known as Hotel Hana Maui) has kicked it up another notch. In fact, it was even voted the “No. 1 Resort in Hawaii” in Condé Nast Traveler‘s 2011 Reader’s Choice Awards. Located in the town of Hana on the eastern tip of Maui, Travaasa Hana is the first resort on the island to greet the rising sun. Set amid rolling grass fields and palm trees above Kaihalulu Bay, Travaasa Hana will immerse you in the “real” Hawaii. Residing in what is known as the Kapalua resort, it is home to some of Hawaii’s most luxurious and desirable coastal properties. 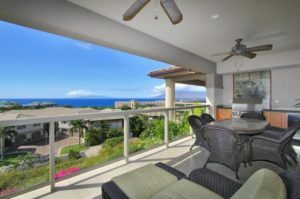 With a prestigious and worthy reputation of providing 5 star (plus) quality accommodations in other locales – Deer Valley, Beverly Hills, Laguna Beach – the Montage Kapalua is certainly raising the standard in the high-end market. After a multi-million dollar revamp of the property, the design now maximizes the property’s lifestyle with emphasis on Hawaiian culture and Aloha aspects. Stay up to date on the newest listings to market subscribing to our Ho’olei Email New Listing Alert. 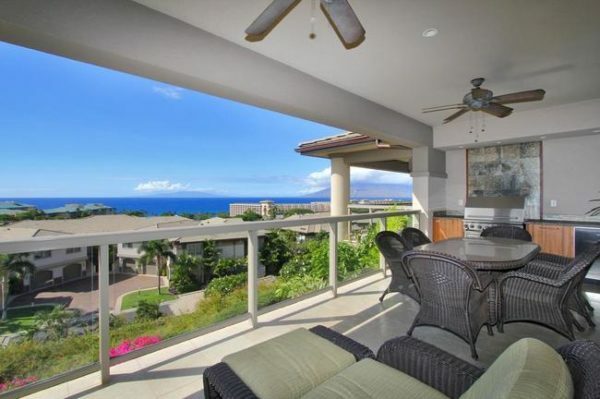 If none of the units catch your eye, stay up to date with our Montage Kapalua new listing email alert. We’d like to extend an invitation to you to stop by our on-site Ho’olei real estate information office, which is open daily, before the reservation desk, from 9:00AM–5:00PM. Our team has been blessed with the opportunity to have been part of this Ho’olei since its infancy stages back in 2005. We’ve been in the in house sales team for the past 9 years. It truly brings a smile to my face when I see first time guests, return visitors, and full-time residences who embrace and wholeheartedly love their Maui lifestyle.